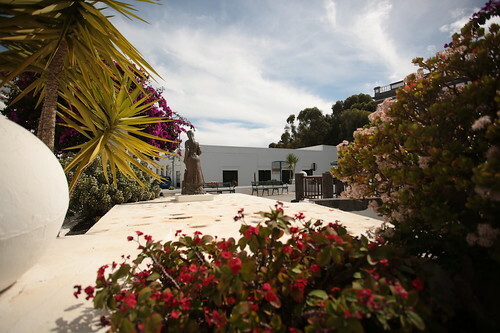 Haria is a small, extraordinary and “traditional” country located in the hinterland of Lanzarote. date, it seems that at least in part tradition is carried forward. Over time, the village has become a thermal centre much appreciated by the wealthy inhabitants of the island and, today, the small town is undoubtedly a very animated place: Walking through its streets, you will meet many tourists and also many locals (and from the surrounding cities), something that in several other villages of Lanzarote I did not notice. 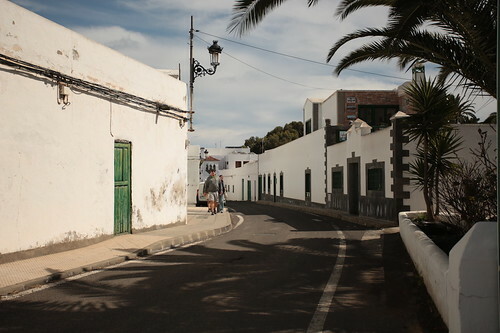 Even in Haria, as in many of the towns of Lanzarote, life seems to flow with a lot of calm and tranquillity. 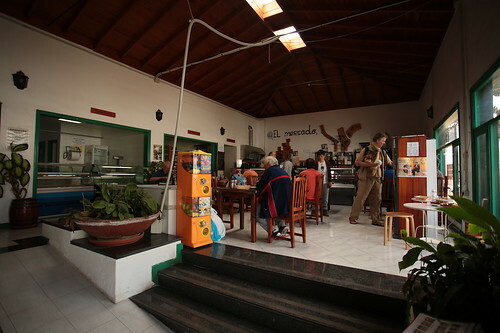 In the small and pedestrian Plaza Leon y Castillo, there are some shops and bars. Here you can see many people, tourists and locals, who stop to eat or drink something or who stroll and look at the two small shops not far from the bar itself (I can assure you that it is worth doing at least a tour inside). 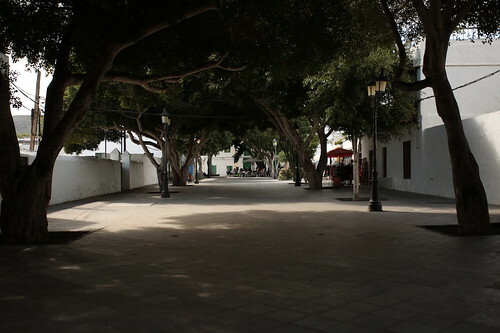 Every Saturday morning, always in this square, there is a small handicraft market. 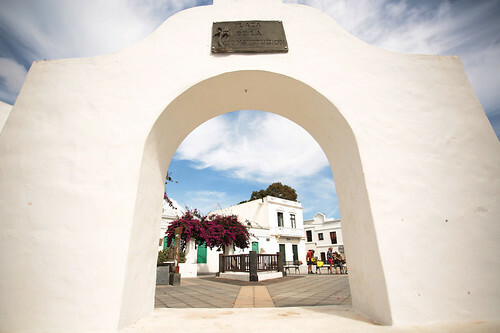 I was very impressed by Plaza de la Constitution: it seems to be a sort of meeting point for the inhabitants of the village; with its flowers and white buildings that on the sunniest days hit the eyes of visitors can be noticed by all those who pass from here. meal. 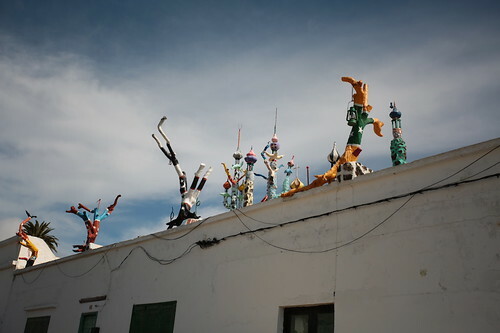 At number 6 of the same street are the shops of some artisans: the interesting thing is not so much that you can buy what they produce (something that often happens in many parts of the world) but that their studies are their stores and you can see them work! (attention to the time because at 13:30, 14 if on late, close for lunch and reopen in the afternoon around 16). To visit the small town you can park your car in the large parking lot in Calle Encarnación Rodríguez, where there is a parking area.